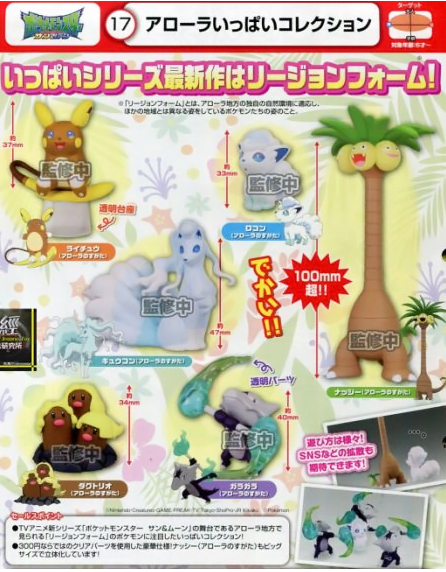 Tomy is set to release a set of Sun and Moon Alola form figures! They will be sold in gachapon machines this April 2017. Each capsule will cost 300 yen.